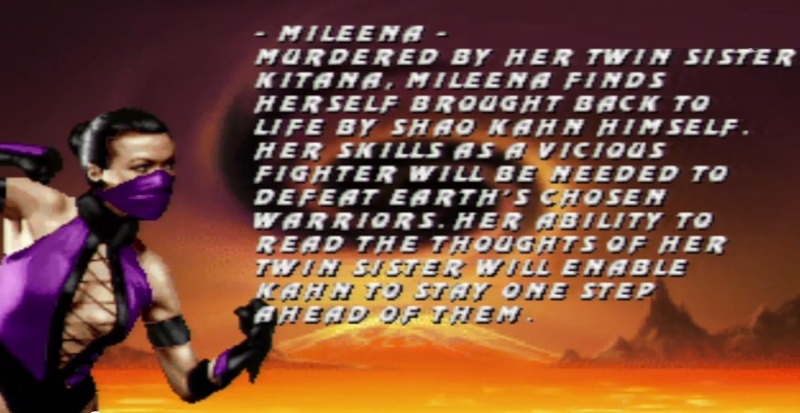 While Kitana and Jade were playable returning characters from the start in Ultimate Mortal Kombat 3, Mileena was a secret one, unlocked through a code. 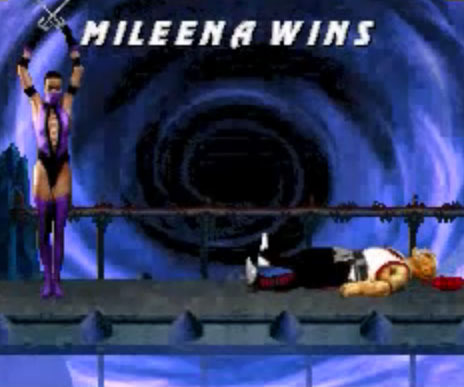 Unlike the other secret characters like Noob Saibot and Rain she had all the finishing moves and the ending which you can see below. 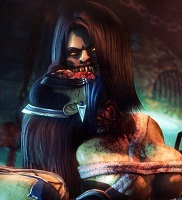 In Mortal Kombat Trilogy she returns with all her special moves from Mortal Kombat 2, there were no additions and big changes for her beside the new combos. 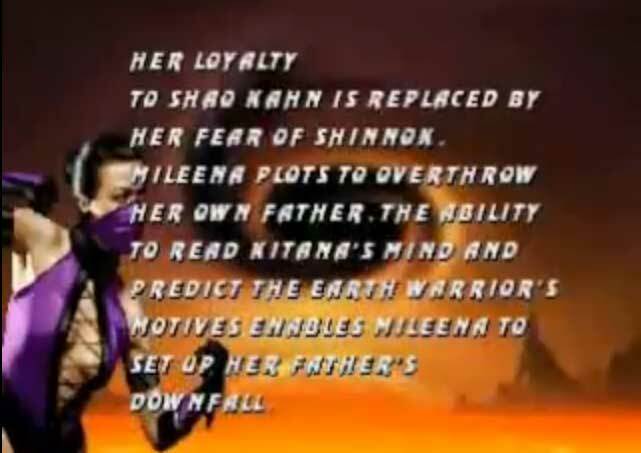 I am not sure, but think it was the first time that the new antagonist Shinnok was mentioned in a Mortal Kombat game.